In order to make it easier for your purchase of the gemstones, please check the pictures of the stones in the following color charts. and let us know the exact colors & color # when you're sending the enquiry/email. This color chart set with the Popular colors of Cubic Zirconia stones, Corundum, spinel gemstones and Nano gemstones. It's made of Acrylic, set with the real 6mm round colored gemstones in it. You can buy it if you're interested in it. The Unit price of it is US$50. 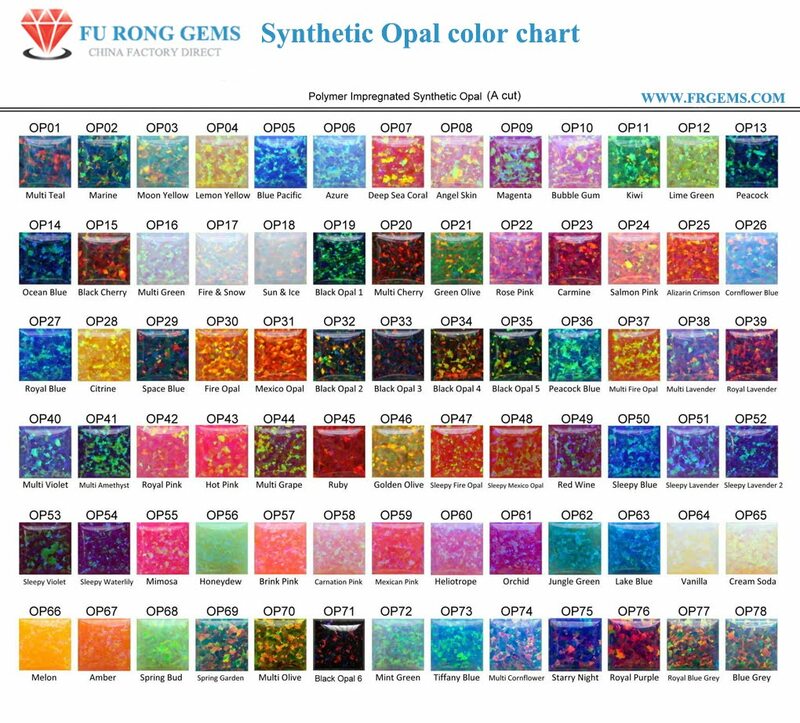 The Unit price of this Synthetic Opal Stone color chart is US$60. Got a question about a product? Need someone to help guide you through our website? Got feedback? We make it easy for you to get in touch with us!